The Journal News did a story about me. The Rev. Andrew Carrozza pulls pranks, tells jokes and teaches the Catholic Gospel all within an hour every Sunday as the pastor of St. Ann’s Church in Yonkers. Come Friday morning, he’ll be doing much of the same in front of a larger audience during WCBS’s television broadcast of Pope Francis’ historic visit to New York City. Carrozza was the only tri-state area priest who was chosen by CBS for the broadcast. He’ll be responding to questions posed by CBS news anchor Mary Calvi, who grew up in Yonkers, during the pope’s 8:30 a.m. Friday sermon to the United Nations, and the pope’s departure from New York City to Philadelphia at 8:40 a.m. Saturday. Calvi said Carrozza was chosen because of his “tremendous insight” about Pope Francis. Having met Pope John Paul II and Pope Benedict, she said he has a personal knowledge of the papacy, and the two will discuss the impact of the pope’s address internationally and locally. In his Yonkers parish, Carrozza is known for his humor and pranks. As part of his homily during last year’s Pentecost, Carrozza pretended to welcome legendary New York Yankees pitcher Mariano Rivera as a surprise guest speaker to create a sense of excitement among the parishioners. He called Rivera’s name twice to a rousing ovation from the audience, but Rivera never showed. Carrozza threw his hands up as if he was shocked the now-retired Yankee closer didn’t walk up to the altar. Carrozza went on to say Jesus was in the room, and the audience should listen as if Rivera were there. That’s how Carrozza keeps audiences captivated. That’s how he teaches. And that’s how he’ll be sharing his knowledge of the papacy on live TV. Listen to Pope Francis, not the media! ns of Congress, and in New York he will address the General Assembly of the United Nations where it is six estimated that as many as 90 heads of state will be present to listen to him. The highlight of his trip will be presiding over the World Meeting of Families in Philadelphia, which is a Congress sponsored by the Vatican every three years in a different city worldwide to defend traditional family life. This is the first time the World Meeting of Families is being held in the United States. Many people are wondering what the Pope will talk about during his time in the United States. 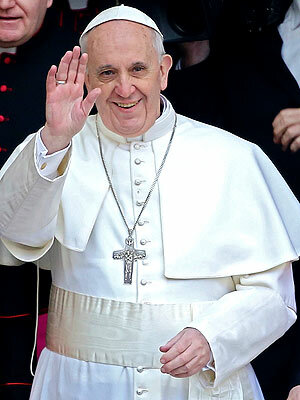 The Pope has not released the context of his talks, so it’s anyone’s guess. But whatever he speaks about I caution people to listen very carefully to what the Pope actually says, and not what people claim that he said. 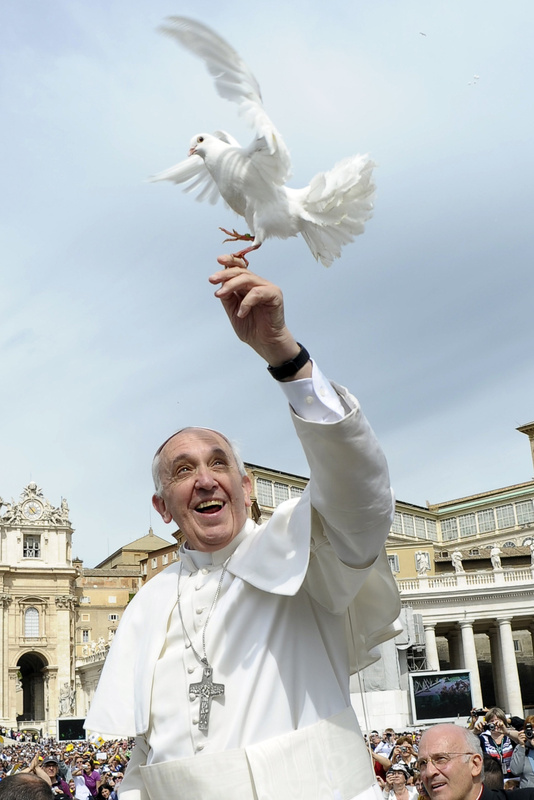 The media coverage of Pope Francis since his election has been rather skewed at times. Sometimes it is certainly innocent, such as when somebody does not understand all the nuances of the issue that talking about. Case in point is the response to when the Pope talked about granting all priests the permission to forgive the sin of abortion and remove any excommunication that may have been connected with it during the year of faith which is beginning on December 8. For us here in New York and in most parts of the United States it doesn’t affect us because we’ve always had that right. 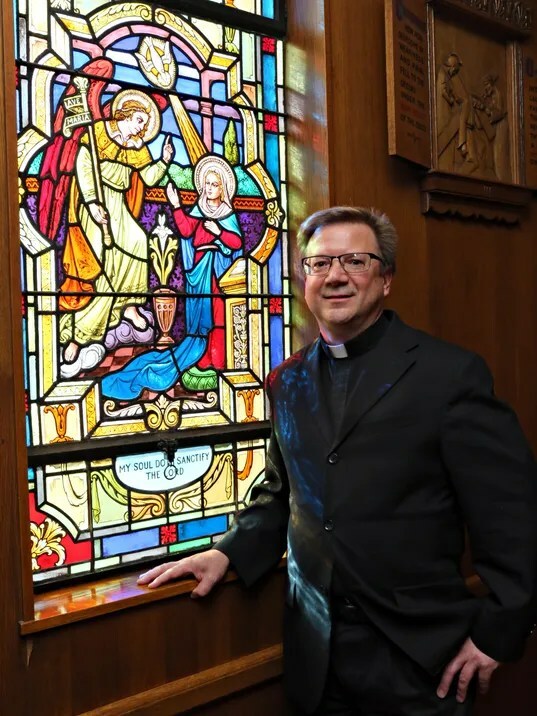 Church law allows regional conferences the right to decide whether or not to permit individual priest to forgive serious sins or withhold it to the Bishop. In most dioceses of the United States the bishops have automatically given that right to priests. It is a right I have always had for 25 years, so it doesn’t affect us here in New York. Only in areas where the Bishop has reserved this right to himself that the Holy Father is saying for one year he by his own authority is overriding the bishops and the bishops’ conferences and allowing every individual priest to have that right. Another grave error was made in the discussion of what the Pope said about annulments. Pope Francis is not a fan of bureaucracy, and he wants to try to streamline the annulment process, cut through the red tape, and make it easier for people to receive a decision on their annulment. Some people in the press, however, took that to mean that the Pope was easing the reasons for getting an annulment or changing our teachings on it, even to the point that one reporter tried to claim that this was the first step in the church recognizing divorce and remarriage! Totally ludicrous! The Pope never said that! All he said was he wanted to speed up the process. But some in the media decided to create a conflict where there never was one. A few cardinals were a little skeptical of the and stated their disagreement with it, and one news source online ran an article entitled “Dissent in the Vatican” and had a picture of St. Peter’s Basilica with a giant lightning bolt over it, as if the church was an open rebellion! Having a difference of opinion is normal in every aspect of human life and hardly constitutes dissent. Dissent would come into play if the Pope officially declared something and several cardinals said they refuse to follow it. That would be dissent! But while some of the differences have been due to honest misinformation, it’s hard to escape the conclusion that many have deliberately distorted the Pope’s words to try to have them meet their own agenda. A classic example of this was the famous “who am I to judge” statement that the Pope made coming back from World Youth Day in Rio de Janeiro. We don’t even know what question was actually asked of the Pope to which he was responding, but his response was “Who am I to judge a gay person of goodwill who seeks the Lord?” But many in the media plucked the line “who am I to judge” out of context and passed it off as if Pope Francis was now approving of gay marriage. Even just last week a recent pew research polls that shows that of Catholics who support gay marriage, 49% of them mistakenly believed that Pope Francis also does. The only place they ever have got that impression was from that quote that was deliberately taken out of context by the media. I’ve been thinking of what would’ve happened if the media had been present when the Pharisees brought the woman to Jesus who’d been caught committing adultery and when they told him according to the law of Moses such women were supposed to be stoned to death and want to know what he thought about it, when he just wrote on the ground and they persisted in their questioning, he stood up and said to them “let he who is without sin cast the first stone at her.” The Pharisees disappeared one by one leaving the woman alone with Jesus. Jesus then said to her “woman where are your accusers? Has no one condemned you?” She responded, “no sir, no one!” Jesus then responded, “neither do I condemn you. Go and sin no more.” If the media had been there that day they would have undoubtedly just plucked the line “I do not condemn you” and reported in the newspapers that Jesus was now saying that adultery was okay! You can see where problems come in. All these errors have led a lot of people to believe all sorts of wrong things about the Holy Father. Many in the media are trying very hard to pit him against conservatives in the church and traditional voices, and sadly they’re doing it very effectively. Even today I read an article in our local newspaper about someone referring to Pope Francis as having socialist leanings. This is absurd! They’re trying so hard to paint him as a liberal socialist deliberately to drive a wedge between him and the traditional voices in the church. But do not be misled! There is nothing at all in the statements of Pope Francis that is not 100% Orthodox Catholic teaching. The only difference is that he’s bringing a more personal effort to try to reach out to people and offer God’s forgiveness to them on an easier basis. He cares very much about the poor and he wants to bring people to the loving and forgiving embrace of Jesus. That is not socialist! That is standard Catholic theology of the past 2000 years. So my friends, when you look at coverage of the Pope this week, listen to what the Pope is actually saying and do not be misinformed by people who either out of ignorance or out of a deliberate bent of their own deliberately distort the Pope’s words to make a message they are hoping he will make. He did not approve of gay marriage, he will not be saying abortion is okay, he will not be changing any church teachings. He will simply be restating what we have always believed and call us and challenge us to see other areas of the gospel that have been lost in the controversy over the major issues, so that all of us can be faithful disciples of Jesus and follow his call to holiness. The True Presence of Jesus in the Eucharist. Do you believe? As we prepare to welcome Pope Francis to New York at the end of the month, I would like to ask everyone to view this video about something he was personally involved with that is astounding: the Eucharistic Miracle of Buenos Aires. (I wrote about this in a previous post which you can view here.) This story gives tremendous strength to anyone whose faith in the Real Presence of Jesus in the Eucharist is doubtful. It is eight minutes long and very inspiring. By the way, I will be one of the priests on CBS News in New York alongside Mary Calvi covering the Pope’s visit this month.